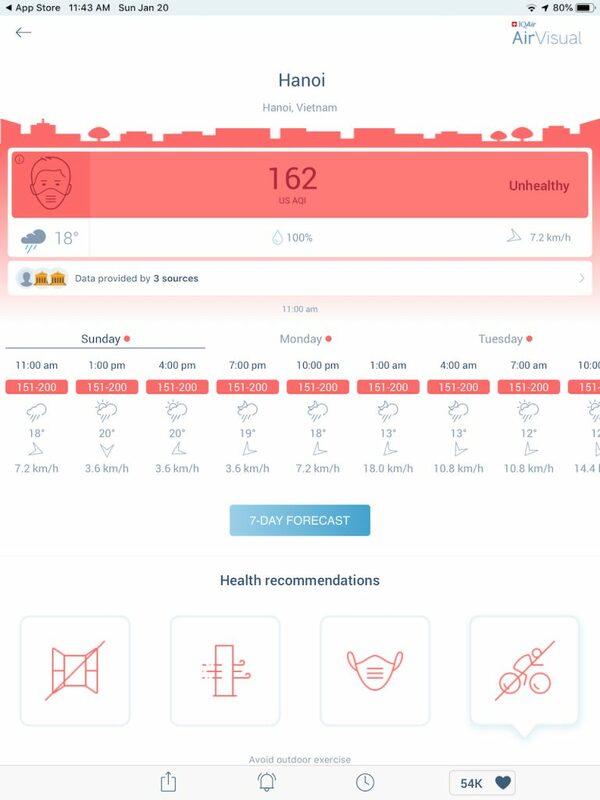 Hanoi air quality wasn’t on my radar before we came to the capital of Vietnam. On a brighter note, no pun intended, let’s talk about the dazzling Phung Hung Street art. I checked climate and learned about wet and dry seasons there. Concerned with what winter might look like in Vietnamese capital (they say winters could be chilly and miserable there), I diligently researched this topic too. Somehow, the question of Hanoi air quality never even crossed my mind. Why? I have no idea. In hindsight, it should’ve been on the list. Northern Vietnam borders China, the notoriously known for terrible pollution. Just this fact should raise a red flag. As it happened, we settled in the outskirts of Hanoi blissfully unaware about what we got into. For a while, I attributed the permanently grey skies to the tail of the wet season. I even welcomed the constant presence of misty haze. It brought a fragile beauty to every picture. In a few weeks though I got a bit unsettled by lack of clear skies. Who knew that the color blue is so beautiful. I missed the sun too. Ordinarily, I get sunburned too easily, so we are not best friends. Nevertheless, by the end of the second month, I was yearning for a sunny day. Then, came the worst. As winter was drugging on, I got sick. Nothing special, just another cold to mark the arrival of new year. After a week of misery, runny nose morphed into a shapeless appendage requiring prodigious amounts of Kleenex tissues. Sniffing and sneezing, I felt as if a virtual cat was scratching my throat. One sunless afternoon, looking through the window at a fuzzy landscape, I realized that I was looking at the answer – it must be the air! Why it took so long to put all pieces together? Perhaps, I just didn’t want to know the truth about Hanoi air quality. Not anymore. I jumped into reading. What I discovered was not pretty. First, let’s get familiar with the Air Quality Index. The AQI is an index for reporting daily air quality. It tells how clean or unhealthy the air is, and what associated health effects might be a concern. The AQI focuses on health issues you may experience within a few hours or days after breathing unhealthy air. It is calculated for four major air pollutants regulated by the Clean Air Act: ground-level ozone, particle pollution, carbon monoxide, and sulfur dioxide. Good AQI is 0 to 50. Air quality is considered satisfactory, and air pollution poses little or no risk. Moderate AQI is 51 to 100. Air quality is acceptable; however, for some pollutants, there may be a moderate health concern for a very small number of people. For example, people who are unusually sensitive to ozone may experience respiratory symptoms. Unhealthy for Sensitive Groups AQI is 101 to 150. Although the general public is not likely to be affected at this AQI range, people with lung disease, older adults and children are at greater risk from exposure to ozone, whereas persons with heart and lung disease, older adults and children are at greater risk from the presence of particles in the air. Unhealthy AQI is 151 to 200. Everyone may begin to experience some adverse health effects, and members of the sensitive groups may experience more serious effects. Very Unhealthy AQI is 201 to 300. This would trigger a health alert signifying that everyone may experience more serious health effects. Hazardous AQI is greater than 300. This would trigger a health warning of emergency conditions. The entire population is more likely to be affected. Hanoi air quality is one of the major environmental concerns in Vietnam. The country’s capital has a dubious distinction of being listed among the cities with the heaviest air pollution. According to Green ID, a Vietnamese non-profit organization promoting sustainable development, grave air pollution in urban areas, especially Hanoi, is due to many factors, including a rise in construction works; heavy industries including cement, steel, and coal; an increase in car and motorcycle use; and agriculture burning by farmers. Hanoi air quality got into the news in October 2016, when the city became the second worst in the world in terms of pollution, behind Ardali Bazar, India. Furthermore, in 2017 Hanoi had only 38 days of clean air. Annual average air pollution in Hanoi in 2017 was also four times higher than those deemed acceptable by the WHO. The last published data goes back to the first quarter of 2018. Without going into details, it said that Hanoi suffered exceeding dust concentration in 82 days in the first three months of last year. The Sustainable Cities Index survey conducted by Arcadis, an Amsterdam-based design and consultancy firm, measured each city’s social, environmental and economic impacts. According to its results, Hanoi is among the least environmentally friendly cities in the world. Vietnam capital dropped two places and ranked 98th out of 100. Hanoi fared remarkably badly against some of its peers in Southeast Asia, falling way below Singapore (4th), Kuala Lumpur (67th) and Bangkok (80th). Only Jakarta (94th) and Manila (95th) scored nearby. 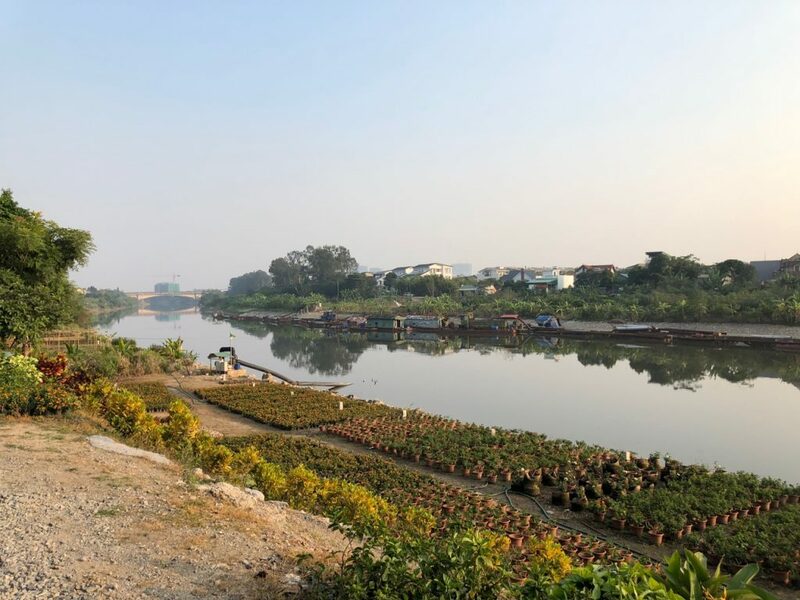 In environmental sub-index (aka the Planet sub-index), Hanoi came at the bottom of the rankings, facing legacy challenges associated with limited green space, high levels of air pollution and inadequate waste management provision. 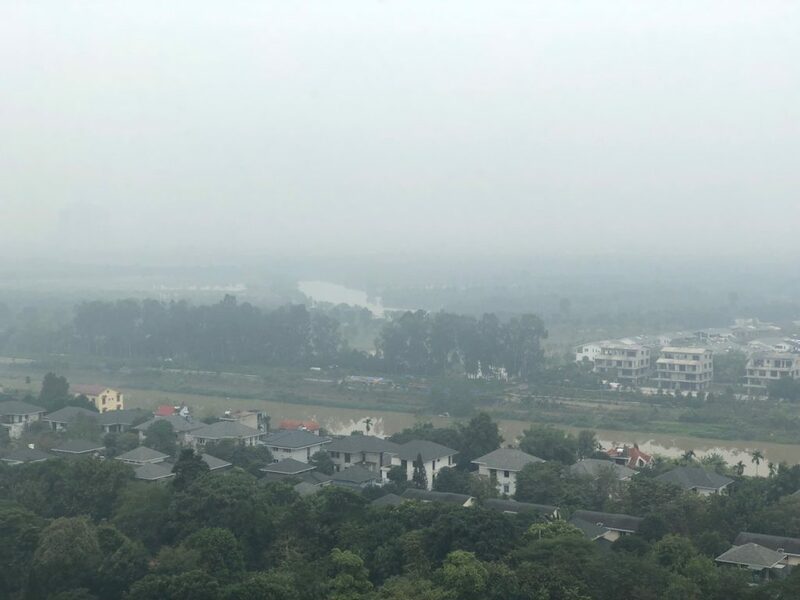 Together, skyrocketing amount of cars and motorbikes, construction and heavy industry, including steelworks, cement factories and coal-fired plants surrounding the city contributes to poor Hanoi air quality. I stumbled upon the Sustainable Cities Index by accident while researching Hanoi Air Quality topic. The Index is captivating. I spent a few hours studying it. I would highly recommend to check it out. If you are a digital nomad or a slow traveler, it might help you find your next destination. So… How bad is Hanoi air quality? Unfortunately, it is bad enough to cause concern. If you decide to spend a substantial amount of time in the city, an air purifier would be a wise investment. use an air purifier – this is a relatively expensive proposition. However, taking into consideration potential medical expenses resulting from breathing polluted air, it was no brainer. 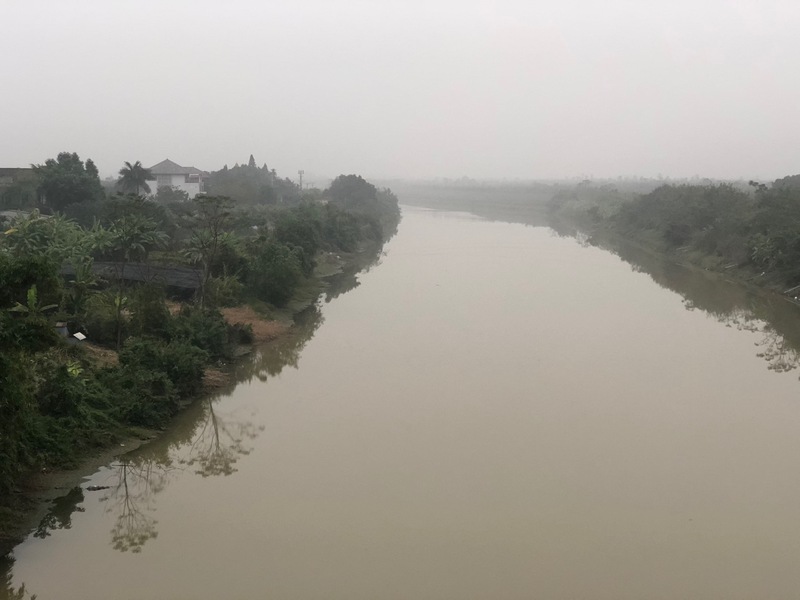 wear a mask outside – Ok, cloth masks that you can see on Hanoi streets do not work (finally, my long-forgotten 9-to-5 job at a medical association came handy – ask any healthcare professional, and they would tell you in no certain terms that those masks are a total waste of money). Instead, one of 3M respirators would work. In conclusion, I hope this article would prepare you for Hanoi air quality. Whether you are a slow traveler or a tourist, I would recommend wearing a mask even if you do not have respiratory issues. Whoa Elena! Continual haze when we arrived to Hanoi in 2012. Millions of motorbikes fuel the pollution. We noted the smog miles outside of town, in the fields. Not much had changed in 6 years… Rain washes off dust, so somewhat counterintuitively wet season is the best time to come.